It seems like the whole world is in transition. The old ways are being swept away, to make room for the new. Which isn’t here yet. 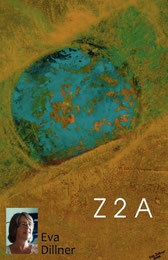 In Z 2 A times we often feel lost, confused and uncertain. Yet the seeds of the future are there. In the west we know how to do A to Z. We know how to be goal oriented, productive, efficient and focused. There are tons of books on the subject ‘how to manage’ your project, career, life or whatever from A to Z. What we lack are instructions how to negotiate, navigate or be in that space in between. I’ve tried to fill that gap with Z 2 A. Whenever you’ve lost your footing, or sense of direction, when life has turned topsy turvy, you are in Z 2 A space and time. Learn how to make the most of it with this book. Often a catalyst for change, my role is to seed new thoughts and behaviors. This is neither a typical business book, nor a traditional relationship guide. 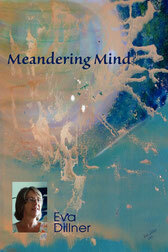 It is based on my own experience and includes many personal accounts of a sometimes difficult journey. Along the way, I’ve pondered how we may build a better world. MISERY MEMOIR MEETS SELF HELP So many people felt compelled to tell their stories of woe that a whole new genre was created: misery memoirs. But simply telling your story won’t heal it or make it go away. Haven’t we all listened to a friend go on and on about a past event, telling their story over and over, but it never seems to change. The emotions and hurt are still there. Every time! But, if you tell your story in such a way that you release and complete the emotional trauma, you heal and transform the event. It no longer carries a charge. It’s done. 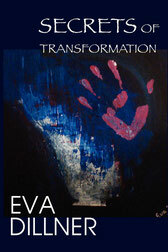 By using her own dramatic life as an example, Eva illustrates how to do this, then shares the secrets behind the transformation. There was something missing in the self help section of bookstores. A handbook for all of us trying to sort out our inner selves. 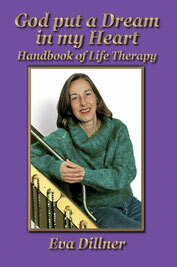 When Eva was navigating through therapy sessions and personal growth workshops, she wished she’d had this book. What happens when you start to unlock your painful memories? How do you deal with them? How does the life energy connect with our emotions? What can you do between sessions and workshops to more efficiently deal with all that is stirred? A book full of insights, exercises and meditations. Lightened up with personal anecdotes.